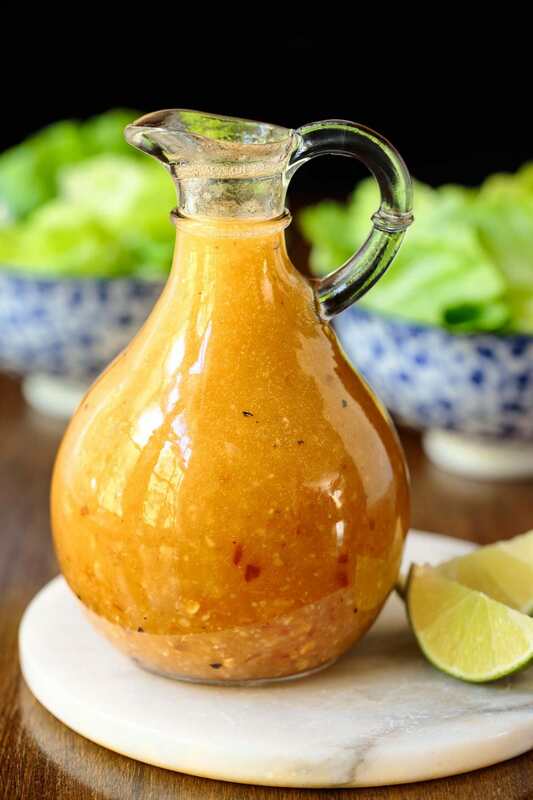 This fresh, delicious Chili Lime Salad Dressing is fabulous on any salad – it also makes a wonderful sauce for chicken, shrimp, salmon, etc! Every summer I fall in love, all over again, with the ever-evolving parade of fresh fruits and veggies that the season provides. And I really enjoy coming up with new salad dressings that enhance all the wonderful fresh produce. 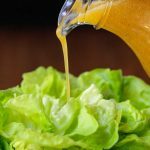 This Chili Lime Salad Dressing is my current favorite and I’m finding myself drizzling it over everything! This has been a pretty crazy summer here at The Café. After living in Raleigh, NC for the past 37 years, we’re packing up all our worldly belongs and moving to the North Carolina mountains, near Asheville. The big move won’t come until early August, but we already closed on the house in Asheville. We’ve been back and forth, back and forth (10 times now!) between the new house and our home in Raleigh, about a four-hour drive. Sometimes when I wake up at night, I’m not sure which house I’m at… and where the bathroom is! 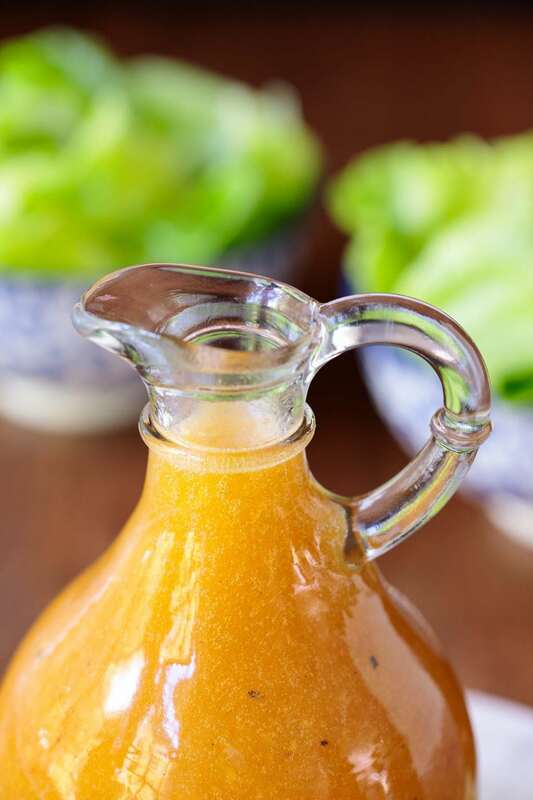 There hasn’t been a ton of time to cook with all this going on… but with all the fresh produce at this time of year and a delicious dressing like this Chili Lime Salad Dressing, we’ve enjoyed some fabulous meals. In addition to serving this dressing with salads and drizzled over all of Scott’s garden stash, I love to grill a few chicken breasts or salmon fillets and use the dressing as a dipping and/or drizzling sauce. 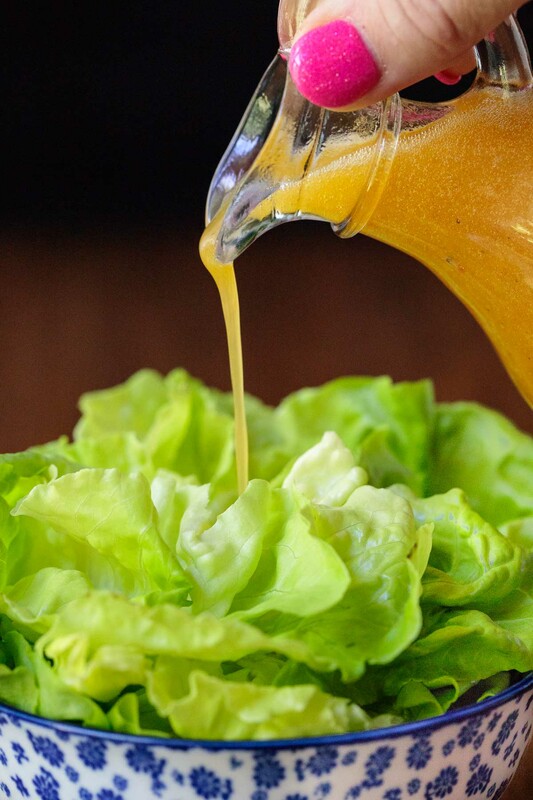 Besides being crazy delicious, this Chili Lime Salad Dressing is almost ridiculously easy. Just throw all the ingredients in a jar, give it a good shake and that’s it! The only prep work is to grate a piece of ginger which I like to do with my Microplane zester/grater. But, if you’re in a big hurry (like I am so often) keep a tube of Ginger Paste in your freezer. Pull it out whenever you need fresh ginger, allow it to thaw for 10 minutes and squeeze out whatever you need. Then just throw it back in the freezer for next time. Like I said earlier, this Chili Lime Salad Dressing is wonderful on just about any salad, but I’ve got a healthy, summery salad recipe coming up that showcases this dressing. 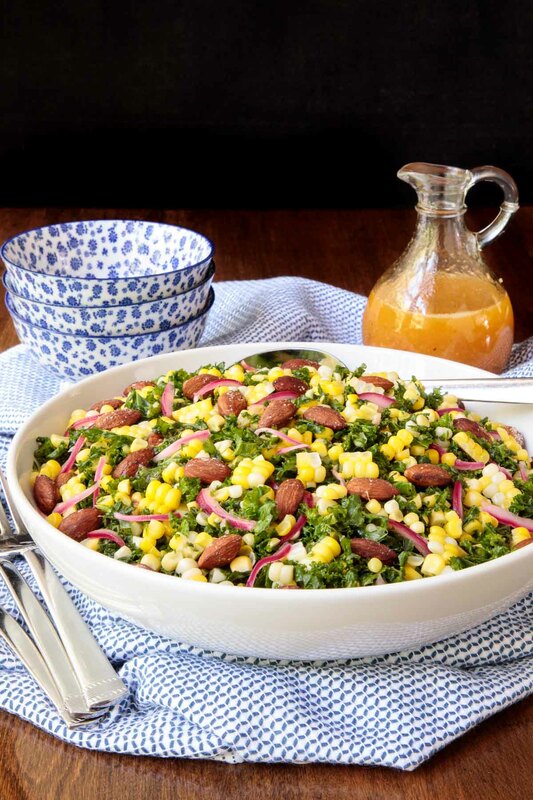 A kale salad, loaded with sweet, fresh corn, pretty pickled red onions and the most shatteringly crisp, crunchy sea-salted almonds you’ll ever have the pleasure of meeting. Make a big batch of the dressing today – and you’ll have a delicious week as well as being ready for the salad! An average lime will yield about 2 tablespoons of juice, so you’ll need at least two limes to get the 3 tablespoons of lime juice called for in this Chili Lime Salad Dressing recipe. That being said, limes can vary greatly in their juiciness. It’s not a bad idea to purchase a few extra. How to choose the juiciest limes? Look for limes that have a smooth, shiny skin and that feel heavy in comparison to the others. Roll each lime on the counter firmly before slicing open to soften it and make it easier to squeeze. 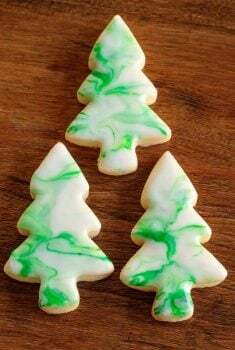 You can also put them in the microwave for 15 seconds on high power to achieve the same effect. 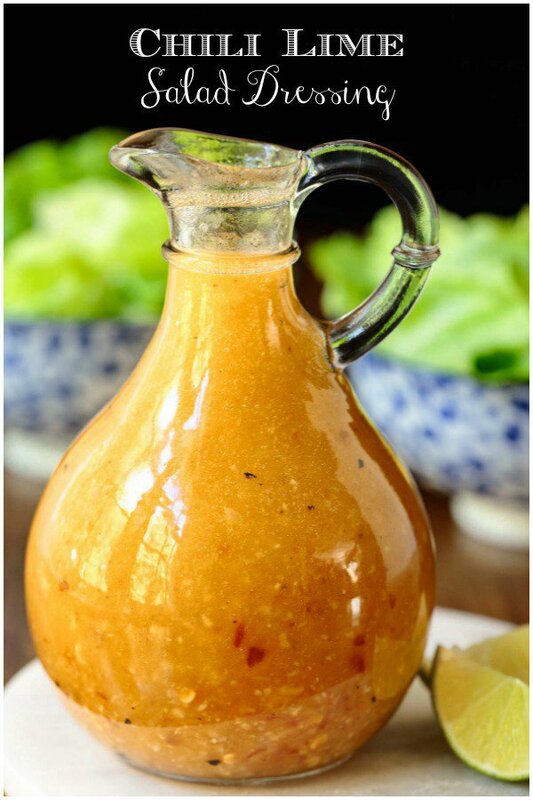 This Chili Lime Salad Dressing recipe calls for Chili Garlic Sauce. Chili Garlic Sauce is a wonderful complex condiment that adds fabulous flavor to all kinds of dishes. It’s a mixture of coarsely ground chilis and garlic. I think it creates a magical punch of flavor for sauces, soups and salad dressings, with just one little spoonful. After opening, Chili Garlic Sauce will keep well for 6-9 months or longer in the refrigerator. You can find Chili Garlic sauce at almost any grocery store that has an Asian section. It’s also available online. Take a taste of the salad dressing before serving. Add more Chili Garlic Sauce if you like things a little spicier. Use a mild flavored olive oil for this recipe, not over the top fruity or spicy. I really like Colavita Extra Virgin Olive Oil for salad dressings. The Café Sucre Farine is a participant in the Amazon Affiliate Program. The Amazon Affiliate Program is designed to provide a means for sites to earn advertising fees by advertising and linking to products on Amazon. 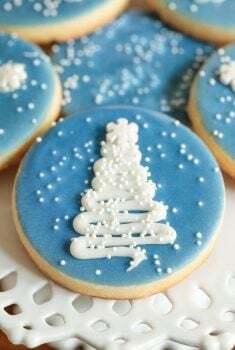 The price you pay as a consumer does not change, but if you make a purchase through one of our links, we receive a small commission – and we continue delivering delicious recipes to you! This fresh, delicious Chili Lime Salad Dressing is fabulous on any salad - it also makes a wonderful sauce for chicken, shrimp, salmon, etc! Combine all ingredients in a medium-size glass jar with a tight-fitting lid. Shake, shake, shake. Taste and add more chili garlic sauce and/or salt and pepper, to taste. See Café Tips above for additional instructions, tips and ways to use this salad dressing. How long can I hold it in the fridge? Hi Monika, this dressing will keep well, stored in the refrigerator for a week to 10 days. Leaving your new kitchen!?! I look forward to seeing the one in your new house. Hope your move is as easy as possible. For sure the Ashville area is gorgeous! How do I find the recipe for the kale salad with corn? We had this for dinner tonight on some fresh greens, grilled chicken (using my new fave spice mix Za’atar..) olives, fresh basil and parsley and some hard cooked eggs. It was AMAZING. So fresh and delicious. I am hooked on making my own fresh dressings and you always come up with wonderful ones! Thanks again!!! Yay! 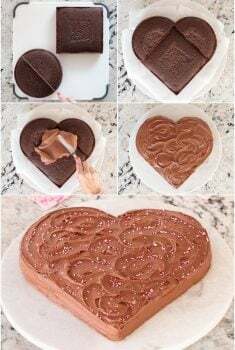 I’m always so happy when the first person tries a recipe and reports back their results! Thanks so much for taking the time to leave a comment, Judi. I love the description of your meal, it sounds wonderful!! I cannot wait to try this dressing – and I know I’m going to love it. Thank you Chris! Trying to pin..not working..will just print..looks so good! It’s so bloody hot here today Chris I could just drink this refreshing dressing down in one gulp, no salad necessary! Yikes! In California? That’s not fun, I’m not going to tell you what the weather’s like here in Asheville. You DO make the best salad dressings! This versatile vinaigrette looks terrific! Big news about your move! 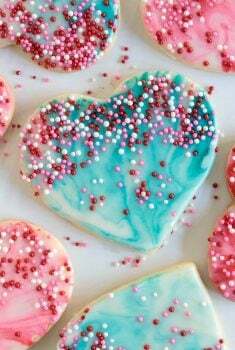 But you have such a gorgeous kitchen!! I hope you show us your new one. When do you move? Can I ask why you are moving? This dressing looks wonderful. I would never have thought of pairing these flavors! Spicy, tangy and mildly sweet..the dressing sounds really wonderful for the seasonal salads.